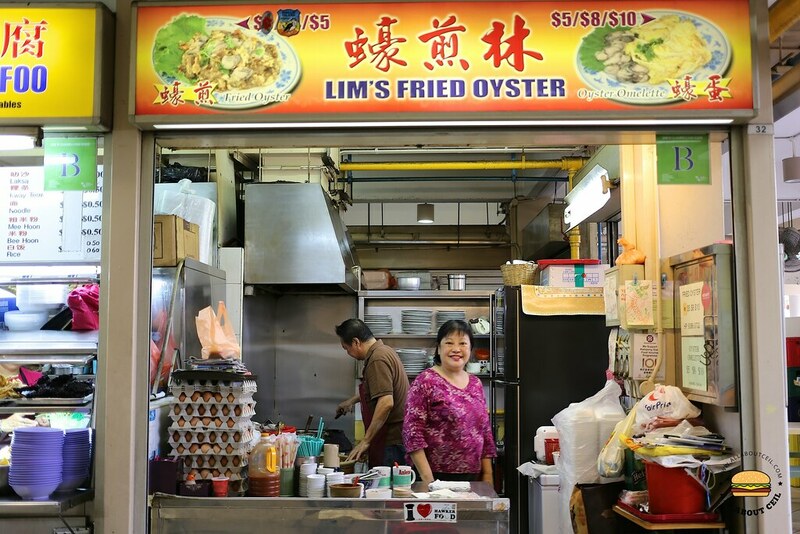 Mr and Mrs Lim, the owners, have been selling Fried Oyster in this food centre since 1977, took over the stall from Mr Lim's father. Mr Lim, the 2nd generation hawker, has been helping his father since the 60s from a pushcart along Sam Leong Road. There is an old-school feel about this fried oyster, something nostalgic about it that made it stood out amongst the others. Mr Lim has skillfully fried it perfectly to achieve the desired texture of having the slight crisp on the surface but still moist within. I really enjoyed it and this has to be one of the best that I have ever eaten. 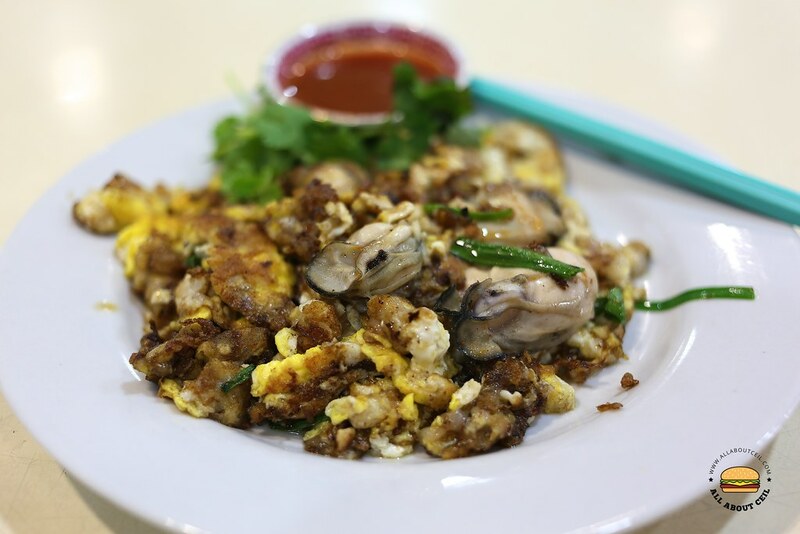 Another favourite is from Hock Kee Fried Oyster at Serangoon Garden Food Centre. 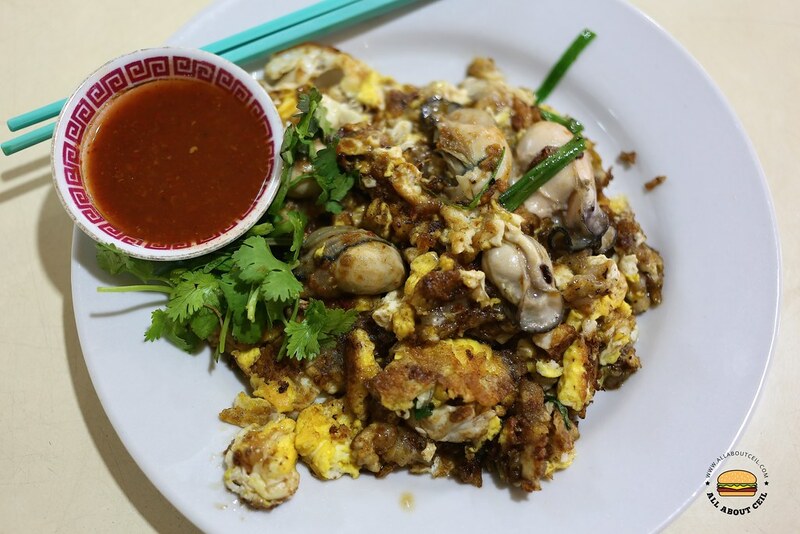 They also offer a wetter and softer version of fried oyster and is often eaten with a spoon, this is particularly popular amongst the elderly customers as it is so soft and it does not require much chewy. It is a less common version that does not often come across in Singapore. Hock Kee Fried Oyster that I mentioned earlier does it too. They also serve Oyster Omelette that has more eggs added to it. Mr Lim is still making the batter with 2 different types of house-made chilli to go with the fried oyster. He added the first type to the fried oyster while cooking it and the other is a dipping sauce. Their oysters came from Korea, it is much bigger in size as compared to those from the other stalls. They garnish with coriander leaves before serving it.